Check out this web event Hosted by ACS Technologies. 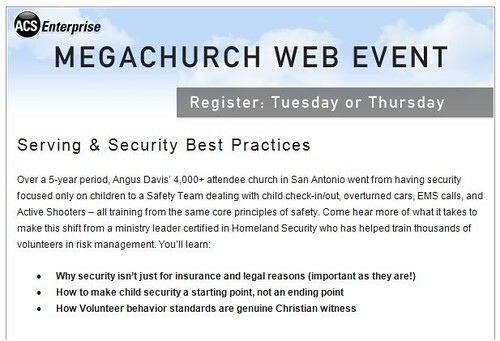 Angus Davis has great insight on Volunteer and Children’s security and you should check out the web event. Register by clicking one of the options below. Note: NON-ACS Customers, when registering Enter “CITRT” as your ‘Site Number’.